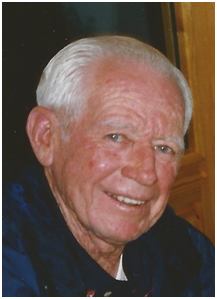 Gene “Skip” Rowland was a coach for all ages, serving the community of Long Beach as a coach and player for more than seven decades. He was a three-year letterman at Woodrow Wilson High School in three sports and was an all-CIF choice in football and baseball. In 1950 he returned to his alma mater as a coach, coaching football, baseball and golf until he retired in 1988. Upon retirement he started the annual Skip Rowland golf tournament to benefit the Wilson athletics which continues today. Upon his death on December 17, 2011, the Gene “Skip” Rowland Scholarship Fund was created to make monies available for scholarships and/or other athletic-related expenses at Woodrow Wilson High School. Make a donation today. Your contribution receives a full tax-deduction and goes directly towards Gene “Skip” Rowland Scholarship Fund. Check donations may be mailed to Long Beach Community Foundation, 400 Oceangate, Suite 800, Long Beach, CA 90802. Please write Skip Rowland Scholarship Fund in the memo section of your check.